Today’s the big day! 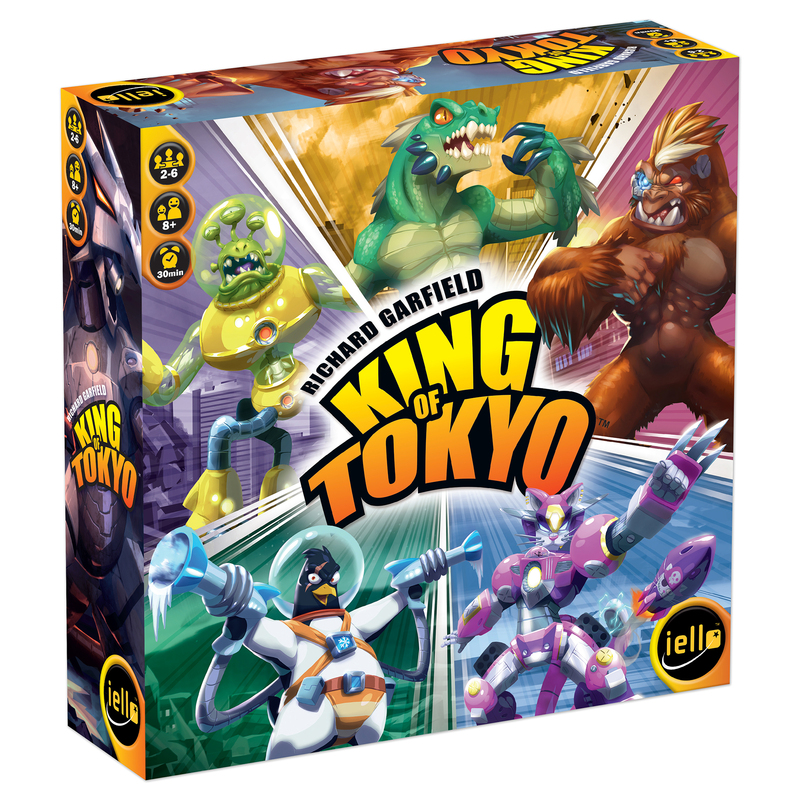 If your FLGS preordered the new edition of King of Tokyo, you can now go pick up your very own copy! 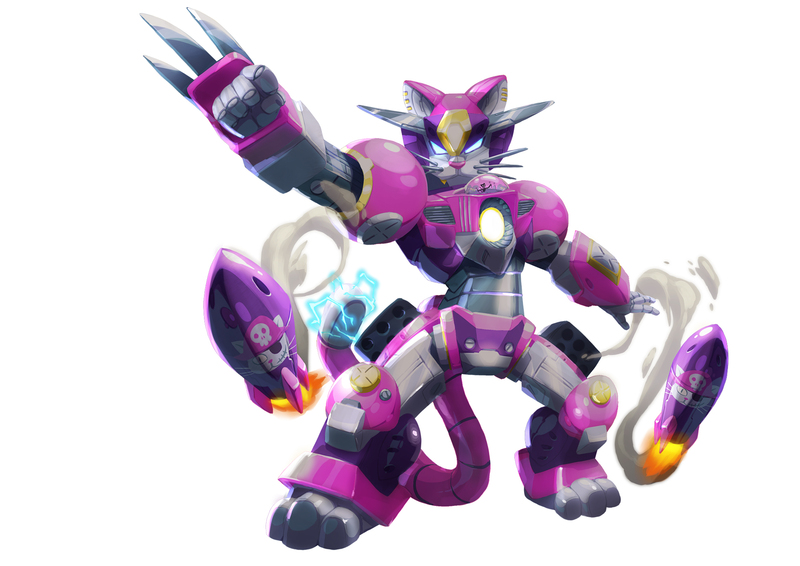 As we said in a previous post (announcement), the new edition replaces Cyber Bunny and Kraken with Cyber Kitty and Space Penguin. It also features reworked, clearer rules and all-new art done by Regis Torres! Check out the comparison of the two editions by Game Boy Geek here or an overview by The Dice Tower here! 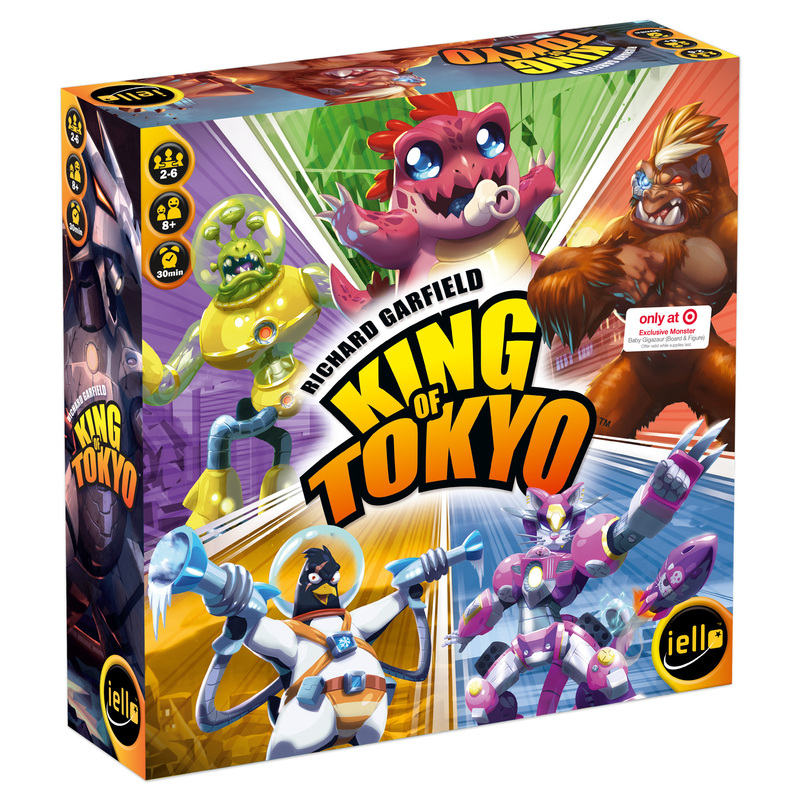 Both this edition and the Target exclusive edition with Baby Gigazaur will be available for purchase through online and mass market retailers on July 14. 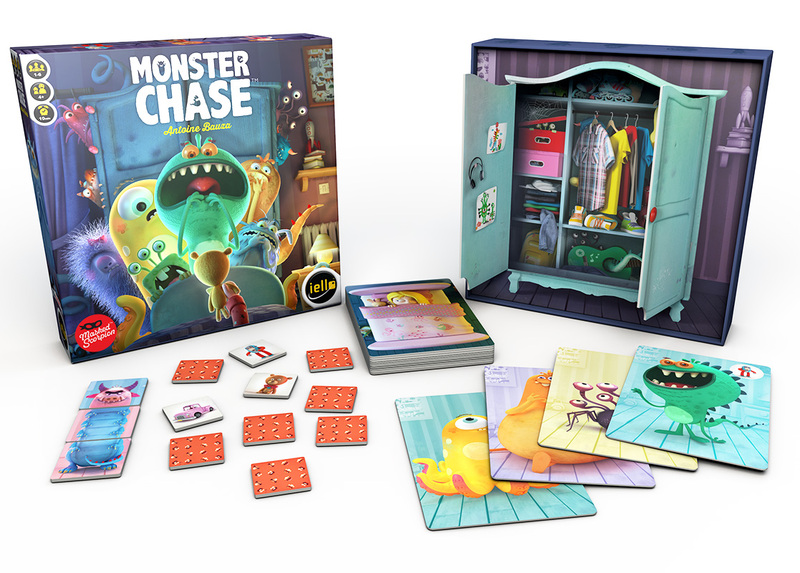 Monster Chase, by Antoine Bauza, is also widely available, through both brick and mortar and online retailers. Our new version of the game features new artwork and a handful of variants that increase and decrease the game’s difficulty, making it enjoyable for young and old gamers alike! Watch the video rules here or an overview by The Dice Tower here! Today has been long-awaited by many gamers across the world (especially those of you who didn’t make it out to Essen)… The Big Book of Madness is now available for purchase! We’re really proud of this game since our French team has been working hard on this game all year long! 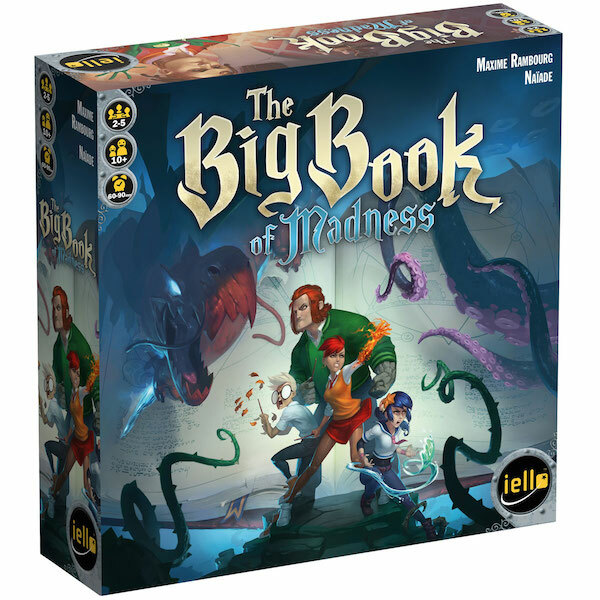 The Big Book of Madness is a cooperative deck-builder from 2 to 5 players where each player is a magic student working together to imprison terrible monsters in the tome from which they were mistakenly released. Each player has their own element deck that they use to cast spells, heal curses, and improve their decks further. 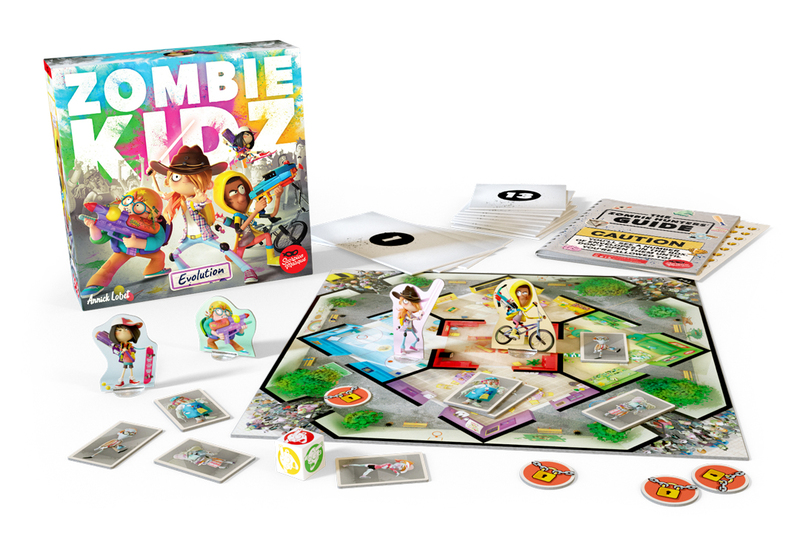 If you manage to turn six pages of the book and defeat all the monsters, you win the game! For a closer look, you can Watch it Played by our very own Sara here, or watch a Dice Tower review here. The Heroes Tactical System is also getting a new family member with the Heroes of Normandie: Gazette #4 releasing today. This is the fourth issue of the quarterly release by Devil Pig Games. 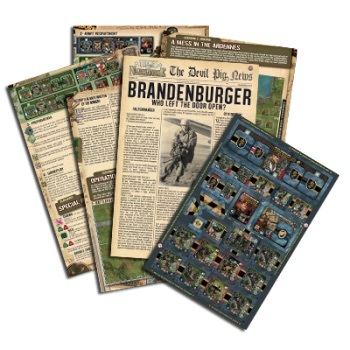 The Gazettes bring new scenarios, new punchboards, and historical content to bring new life to your games! This issue in particular introduces the Fallschirmjägers and Skorzeny commando and pits armies against each other in Italy. For more info and scenarios, visit the Devil Pig website. Today is a big day for the Heroes Tactical System! We have some expansions for Heroes of Normandie and also the release of a Lovecraftian stand-alone game in the same universe, and its first expansion. 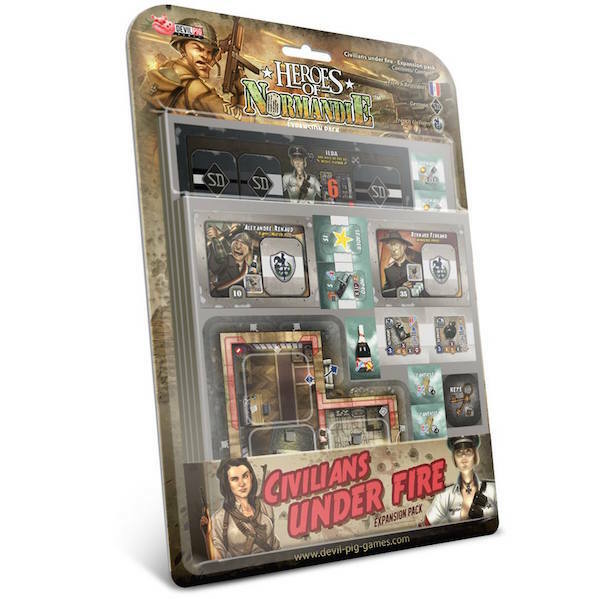 Civilians under Fire contains four punchboards (two large and two medium) with members of the FFI, vehicles, buildings, and make-shift weapons to bring more life to the battlefield! Recruit Bernard, the Armoured Priest, Alexandre, the Happy Mayor, Ilda, the She Wolf of the SS, and more in this expansion! 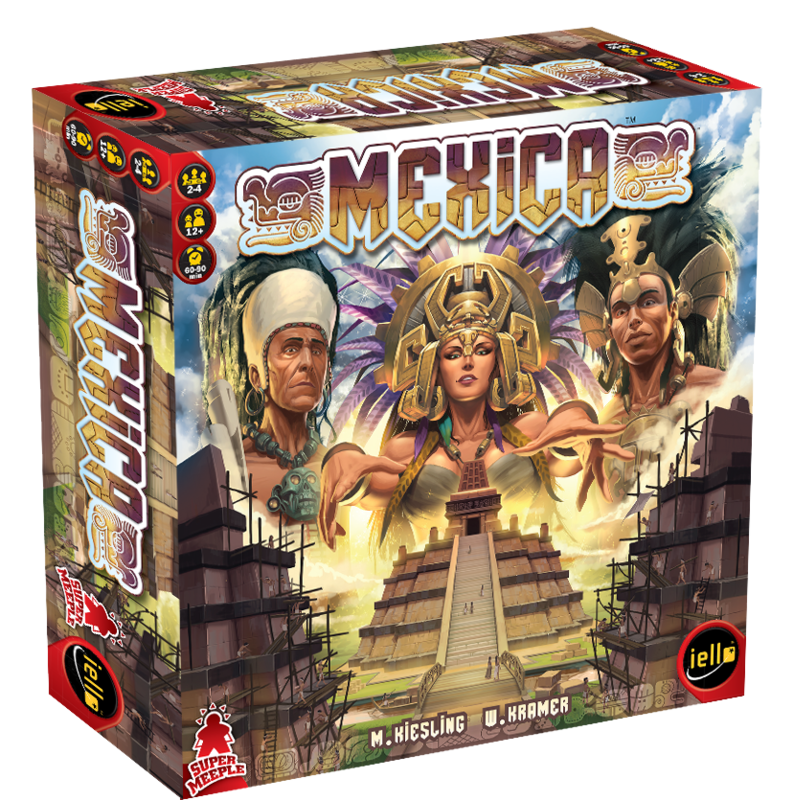 Visit Devil Pig Games’ website to download the rules and scenarios for this expansion. 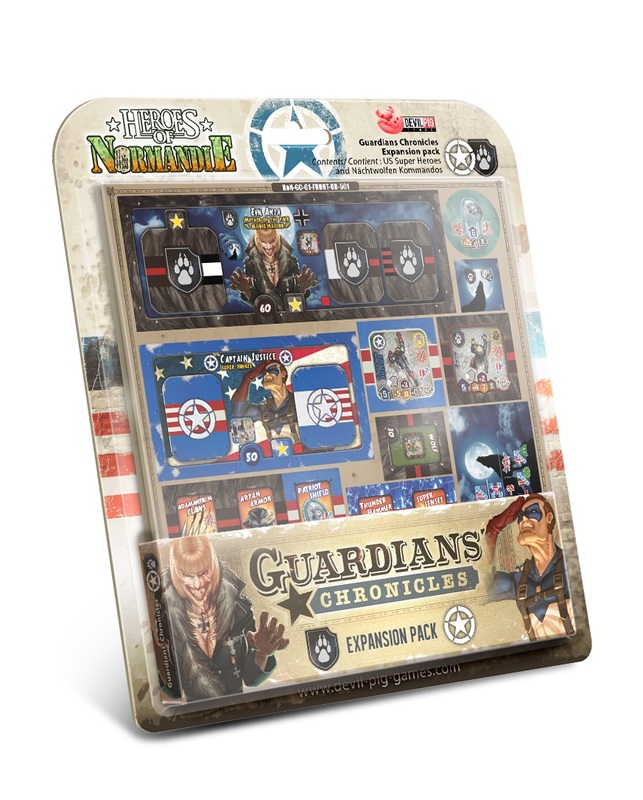 The Guardians’ Chronicles Expansion Pack introduces members of the Meta Squadron found in Guardians’ Chronicles to the battlefield with this two-punchboard pack. Pit Captain Justice and Lady Britain against Evil Anja and her werewolf pack! 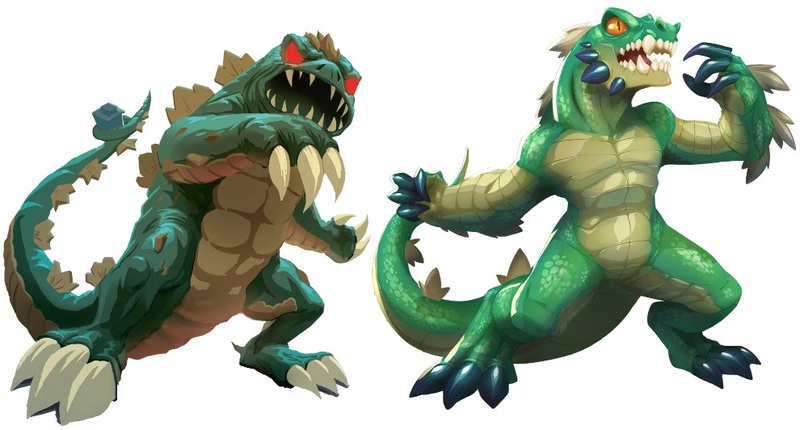 Super powers and super villains will add a new level to your battles! 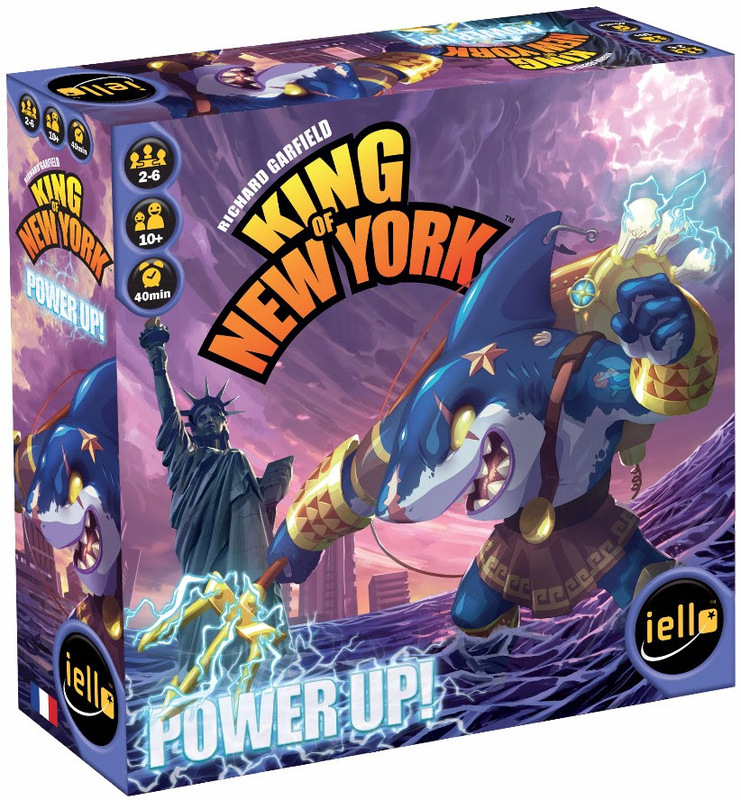 Visit Devil Pig Games’ website to download the rules and scenarios for this expansion. 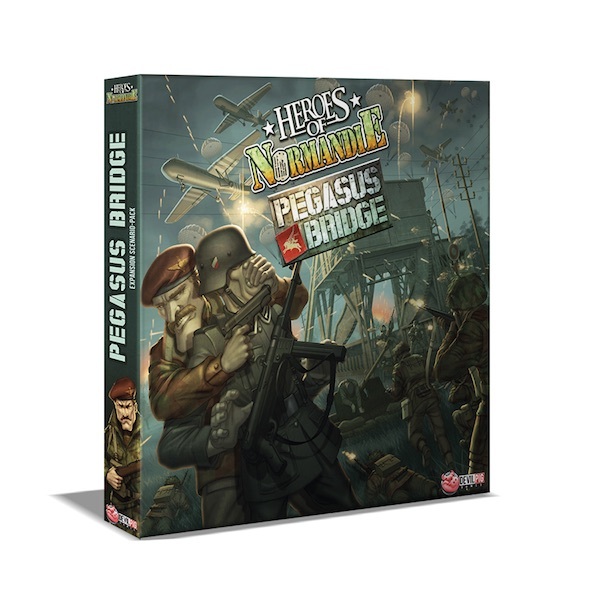 Pegasus Bridge is a bigger expansion that includes new recruits (infantry, paratroopers, and commanders), new terrain tiles, and new rules for night combat, drops, slipping units, and Gliders. This expansion is sure to help you recreate the paratrooper drops of June 6 onto the infamous bridge with 6 exciting scenarios and loads of content. It’s recommended you have the Commonwealth Army Box as well, but if you don’t, read this forum at Devil Pig Games’ website. 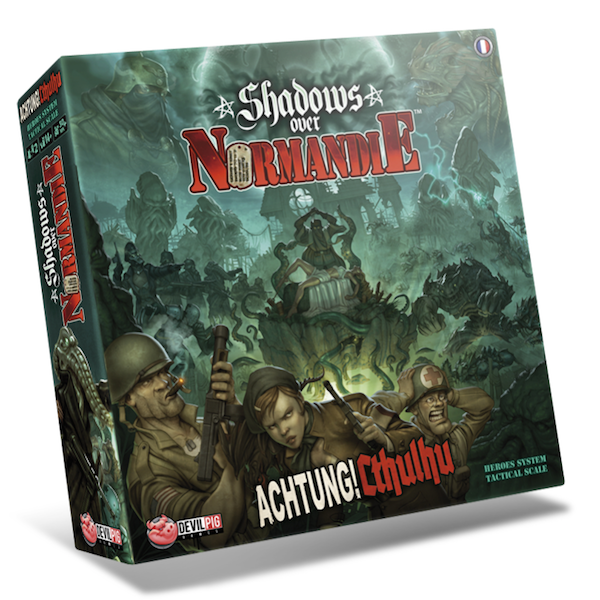 Shadows over Normandie introduces Lovecraftian forces to the Heroes of Normandie universe with the Deep Ones and Black Sun factions. Now you’ll be able to face dark magic and terrifying monsters with your troops. 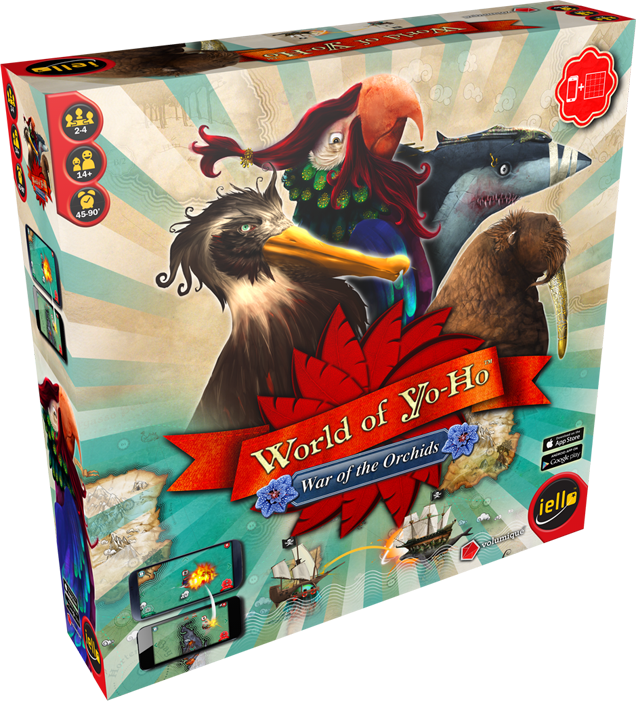 This stand-alone game comes with 6 double-sided map tiles, new heroes, buildings, and vehicles, and best of all, new rules! In addition to new attacks and spells, you can play with two or three players over the 10 scenarios. Order now and receive a double-sided poster and two promos! 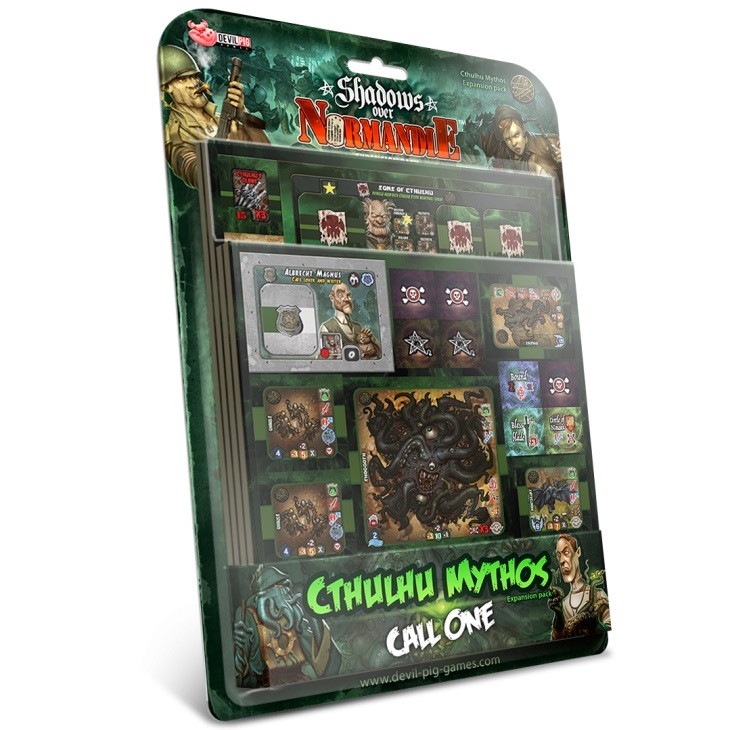 Cthulhu Mythos Call One is already available with more characters, villains, and artefacts! This expansion offers you many new and chilling occult gaming experiences, including recruiting H. P. Lovecraft himself into your army! 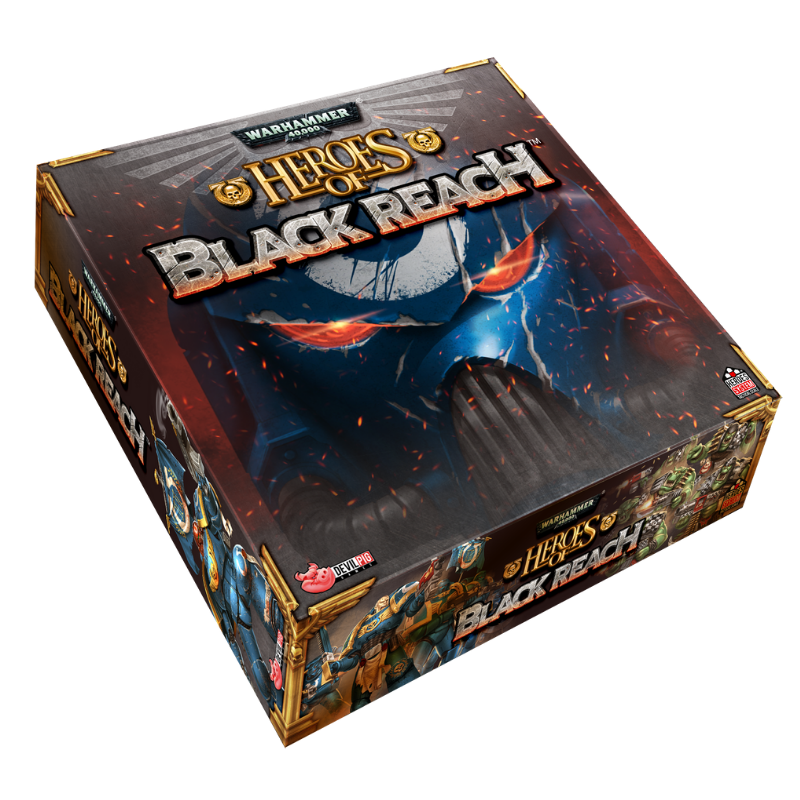 Visit Devil Pig Games’ website to download the rules and scenarios for this expansion.